Our cut sheets feature premium silicon carbide grain on the highest quality combination cloth/paper backing. Coarse grits 12 -24 are open coat, and finer grits are closed coat. 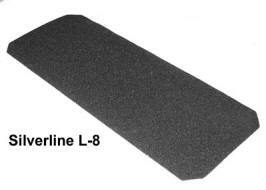 We offer sheets to fit the two most popular floor sanders, Clarke and Silverline. All of our products are Made in USA from the finest quality materials. Sold in boxes of 25 sheets. 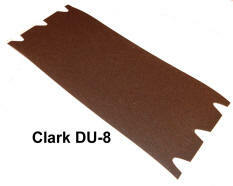 The Clarke sheets can be used with the EZ-8 sander with clip style drums.